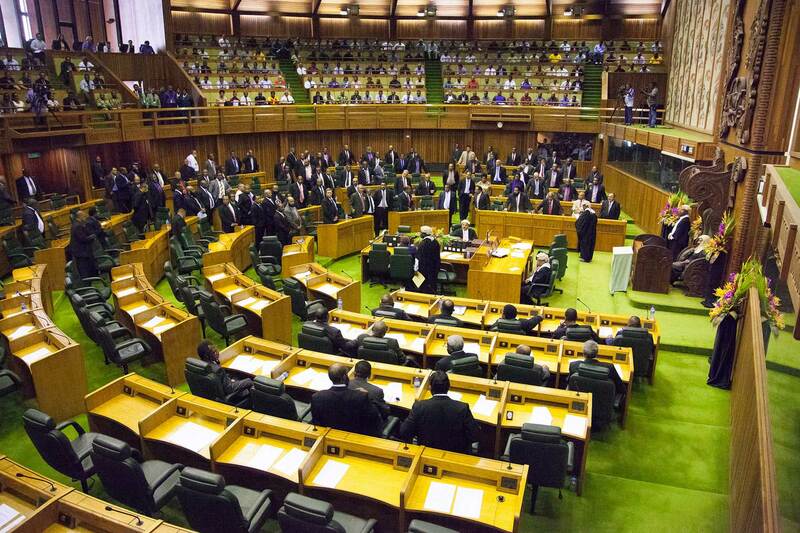 The 2015 PNG budget is due to be delivered sometime soon – formally it is due on Tuesday 11 November but there is talk of it being earlier this year. As in Australia, the national budget is probably the most important policy document produced each year. It demonstrates in a very concrete way the Government’s priorities – how money is to be raised and how it is to be spent. It reveals the hard choices that must be made as there is never enough money to cover desired expenditures. So as preparations are well under way for the budget, it is timely to set out some criteria for judging a good budget for PNG. Ten have been chosen, and are expressed below as questions. When the budget is delivered, there will be a follow-up blog rating how the budget performed – will it get an “A” or will it get a “D”? Have the right expenditure priorities been chosen? Continued growth in the share of the budget allocated for the Government’s announced key priorities of education, health, infrastructure and law and justice will be important. These are broadly known as the enablers in the Medium Term Development Plan (MTDP). The 2013 budget indicated expenditure on these key enablers had increased from 54 per cent in 2012 to 64 per cent in 2013. The 2014 budget changed the way the ratio was measured as it excluded funding for the sub-national program – excluding this, the share was reported as increasing from 34 per cent in 2013 to 46 per cent in 2014. Possibly it is also time to review the definition of the key enablers. For example, the “economic sector” was included as an enabler in the 2005 to 2010 MTDP, left out of the 2011 to 2015 MTDP, but there was a significant emphasis on assisting small and medium sized enterprises and financial inclusion in the last two budgets. Is a sustainable fiscal policy set out? The Government has committed under the Medium Term Fiscal Strategy to reduce the size of the budget deficit – indeed, to move back to surplus by 2018. There arguably were good economic reasons to help soften the impact of the ending of investment work on the PNG LNG project and the expected start of new projects. However, this time has passed, and the budget needs to start living within its means once again. Deficits of the magnitude of the last two years are not sustainable. The planned target for 2015 onwards are for deficits no more than 2.5 per cent of GDP (compared to about 7 per cent currently), and a debt to GDP ratio falling back to under 30 per cent (currently close to 40 per cent, though a fall will be assisted by a large increase in GDP as a result of the PNG LNG project). How will this massive fiscal adjustment be achieved? And what is the balance between possible expenditure restraint and revenue expansion? Is the deficit financing strategy appropriate? Even with a reduced deficit, financing both the additional debt as well as the rollover of existing debt needs to be handled carefully. Domestic financing costs have increased significantly over the last year (with Treasury Bills costs increasing from around 3 per cent to over 6 per cent). Concessional loans from the Asian Development Bank and World Bank will be important, as will support from grant aid donors. Consideration may need to be given to some forms of off-shore financing – but these will need to be good deals for PNG, including dealing with the exchange rate risk issue. Is the budget structure supporting good development? The structure of the budget can actually improve development effectiveness. PNG has made major steps over the last two years to integrate the recurrent and development budgets, as well as to move towards multi-year budgets. This means that when schools are planned, there can be funds also provided for teachers. When more hospitals are funded, there should also be more funding for medical staff. Further steps down this path would be welcome. However, as mentioned below, there are concerns that the integration might make things less transparent. Additionally, there are serious concerns that the recurrent budget has been underfunded. While moving ahead with this important reform of integration, will the previous imbalance against recurrent expenditure be addressed? Is the budget sufficiently transparent? The people of PNG have a right to clear information on the choices the Government is making. Unfortunately, this area has not got off to a good start. The annual Budget Strategy document, required by legislation, would ideally have been produced by August. Budget circulars should be available on the PNG Treasury website (the last ones were for the 2013 budget). In the budget itself, the information should be clear and comprehensive. There should be no reduction in the amount of information being provided relative to previous years. Key areas for increased information would be performance monitoring – including on programs such as sub-national funding. And as sub-national funding has become more important, there should be a table that integrates all funding provided by PNG governments – at the central, provincial and local levels (there used to be such a table). Information on the worth of government enterprises should continue to be provided. How will assets be treated, including updates on the sovereign wealth fund (SWF) and Kumul arrangements and their impacts on revenues? Clearly, one of the biggest financial issues in 2014 was the Government’s decision to purchase 10 per cent of Oil Search with financing for the purchase linked to early PNG LNG revenues. How this is accounted for will be vital for understanding the real stance of fiscal policy in PNG, as well as the Government’s fundamental views on what is best left to the private sector, and what is best left to government. The currently mooted sale of some public assets will also be a fundamental guide to thinking in this area, as will the treatment of the Ok Tedi shares taken over from PNG Sustainable Development Program (SDP). How will these be shown in the budget? There are mooted changes to the SWF to accommodate the Kumul Holdings – these could have important revenue impacts and should be outlined. Linked to these is ensuring that shifts continue towards PNG fully adopting the IMF’s 2001 Government Financial Statistics guidelines (PNG currently uses 1986 standards). Are there revenue policy improvements flowing from the Tax Review? This budget may include some policy decisions flowing from the current major Tax Review being chaired by Sir Nagora Bogan (although it is not formally due to report until 2015). These will need to be considered in the context of the terms of reference for the review (which were good and balanced). In particular, it will be important to see if action is taken to redress the decline in resource taxes as a proportion of resource sector GDP and take action on non-tax revenues. Is there needed action on public sector reform? There are very major challenges facing the Government especially in terms of implementation. Significant reforms did occur in the mid-2000s but the momentum has been lost. Recent budgets have included some specific calls to amalgamate agencies to reduce duplication and costs – but these have not advanced. Decisions to stop the growth of statutory authorities have not been implemented – indeed some agencies that are generally seen as performing core government functions are being turned into statutory authorities. This suggests that there are some fundamental underlying problems with incentives and accountabilities when it comes to public sector agencies. Change requires budget allocations. It will be interesting to see if public sector reform is a priority – it is a key element of implementation. Overall, is this a credible budget? A key function of the national budget is to provide a strong story on the Government’s vision for developing PNG. The audience is both domestic and international. The narrative of the budget, including its underlying assumptions in areas such as growth, commodity prices, exchange rates, tax compliance, asset sales, etc, must be credible. International investors, including the ratings agencies, will look very closely at the 2015 budget. Good luck to all those loyal public servants and Ministers that will be spending many long hours, including weekends, working behind the scenes to complete this vital policy document for PNG’s future. We look forward to examining the results of this hard work once the budget is delivered. Any comments for other criteria would be welcome. Thank you for the pointers set out above. it will be as you said, interesting to see if the above issues highlighted in your article have been included as they ought to be. i will be very interested to follow up on your views on the budget.